Do you have extra free time this summer? Are you looking for a creative outlet to express your feelings and share some of your unique talents and passions? 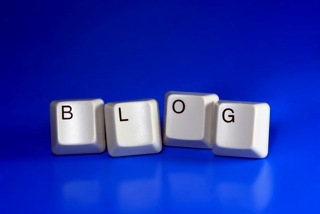 The Internet blogging world can be a great place to start. Starting a personal blog can be daunting. The thought of exposing yourself and your writing to strangers may seem very threatening. You risk critique, rejection, and disapproval- but you also open the door for praise, acceptance, and personal growth. 1. Choose your Blogging platform. There are a variety of FREE blogging platforms on the web. The most popular sites include Google’s blogger.com, wordpress.com, livejournal.com, blogr.com and tumblr.com. Explore each of the sites and what they offer, and then decide which platform is best suited for your topic and blogging goals. 2. Choose your ‘niche’ and target audience. It’s important to know what you are writing about. Sticking to one theme will help with fighting writer’s block, streamlining your posts and establishing a loyal group of followers and readers. You want your audience to keep coming back- give them something that they can rely on and something they can relate to. It’s also important that you choose a topic that is wide enough to sustain in the long-term. Sometimes, even the most exciting topics can get old with one or two posts. 3. Make a great first impression with a captivating theme. It’s important that the visual aspects of your blog are appealing and organized. Choose a header that compliments your writing style, pick a font that coordinates with your color scheme and organize your posts by creating several pages. The more personalized and creative your layout, the more people will be interested in what you have to say. 4. Make your blog welcoming, engaging and entertaining. Encourage your readers to comment on your posts by ending each post with questions or open-ended thoughts. Include quotes, funny stories and tips to connect with your audience. Your ultimate goal is to make your readers interested in your life- show them what makes you so fascinating and unique. 5. Mix text and photos. Too much text is hard for anyone to digest. Having the right amount of text and photos makes the entire post more appealing, less time consuming to read and more enjoyable. Pictures also make for great conversations starters, and they let your audience get an inside look into your life. 6. Blogging takes time and energy. Keeping up with a blog is hard work. Set a blogging schedule with estimated post times and try to keep up with your posting goals. Be realistic about how often you choose to post- a daily blog may become overwhelming in a hurry, choose an amount that complements your current lifestyle. Remember, you can always choose when and how often you post. When life gets busy, don’t be afraid to switch it up. 7. It’s all about getting to know YOU. Making your blog personal is the ultimate key to success. It can be as heartfelt and sincere as you want it to be, but your writing should always be true for you. Your readers want to read your posts to get to know you. Include pictures of your day-to-day life and your family. Create an about me background page to help catch new readers up with a basic biography or an FAQ page to answer questions from your followers. 8. Most importantly, blogging is about expressing yourself and having fun. I use my own blog as an online journal, and if my writing has had an impact on even one person’s life, then it has all been worth it.